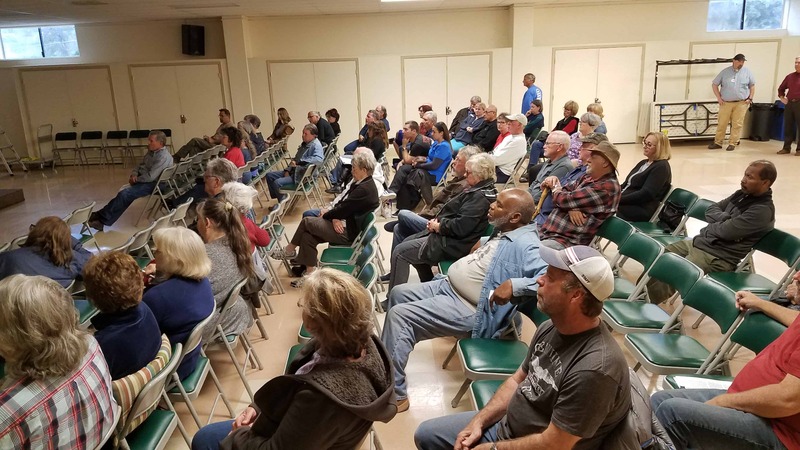 More than 50 people attended a town hall meeting in Copperopolis Thursday April 5 to discuss water and sewer rate changes being proposed by CCWD. The meeting kicked off at 6 p.m. with a 45-minute presentation from the District’s General Manager, Dave Eggerton, which provided an overview of CCWD and the proposed rate adjustments. This was followed by more than an hour of Q&A and small group discussions, which continued until about 8 p.m. The District thanks community members for attending the meeting and asking excellent questions. If anyone has additional questions, they may contact the CCWD Customer Service Department at (209) 754-3123 or customerservice@ccwd.org. Highway robbery you are commiting. Raising the rates !!! People can barely afford what you charge now.